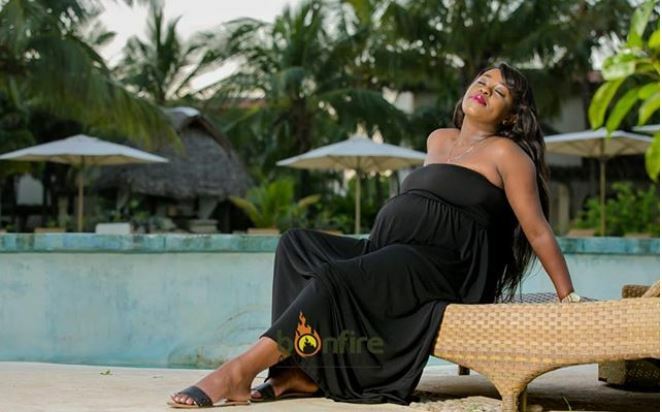 Lillian Muli, who is weeks from delivering her second child, may not have a baby shower this time around. The Citizen TV news presenter has been sharing her pregnancy journey with the public and people have understandably been looking forward to her baby shower. However, Lillian, who is engaged to flamboyant football administrator Jared Nevaton, says she is not sure she wants one. Lillian also spoke about the current trend of opening social media accounts for babies, saying she will not reveal her baby’s face until it is bigger. “I will not reveal the baby’s face. In as much as many people have been supportive and happy for me, there are those who have said the most heartless things, and it shocks me that people can be so openly vicious and unkind. “When the baby is bigger, yes, I might. There will be no social media account for my baby,” said Muli. Lilian, who is known to be private about her life, also spoke about why she decided to be more open and interactive with her second pregnancy. “I am very private but people have made my life their business. Viusasa is an opportunity for me to create content on a digital platform, as that has always been my desire. Muli also gave a strong indication that she won’t be getting another child after her second.